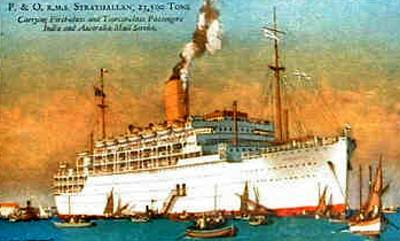 Ultimate Fate Torpedoed by U-562 on 21-12-1942, sunk 22-12-1942.
ss Strathallan goes to war. Strathallan in drab wartime grey. 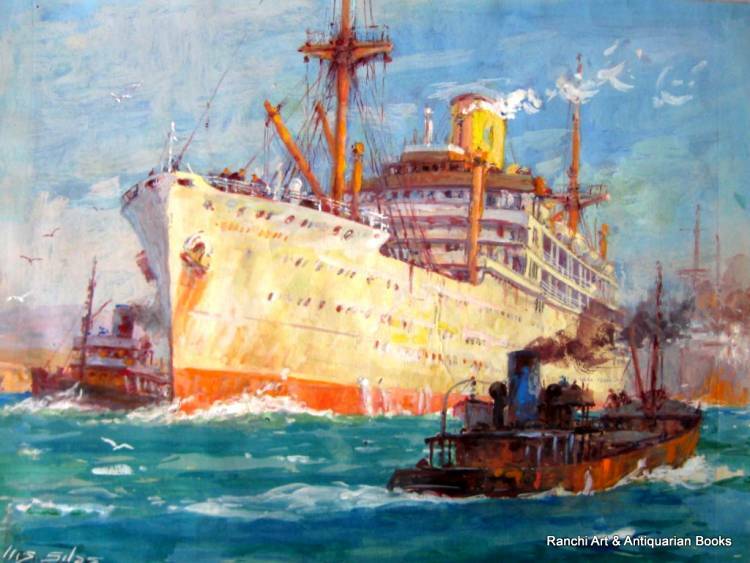 P&O liners were requisitioned during the Second World War, as Armed Merchant Cruisers (AMC’s) and Troop Transports. 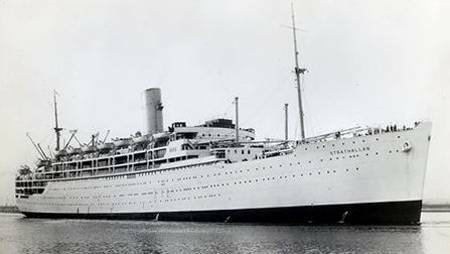 In the latter capacity, ‘trooping’, the large passenger liners of Cunard, P & O, Canadian Pacific, and suchlike were converted early in the war years. P&O's Strathaird, carried the first American troops to arrive in Britain - on 26 January 1942. 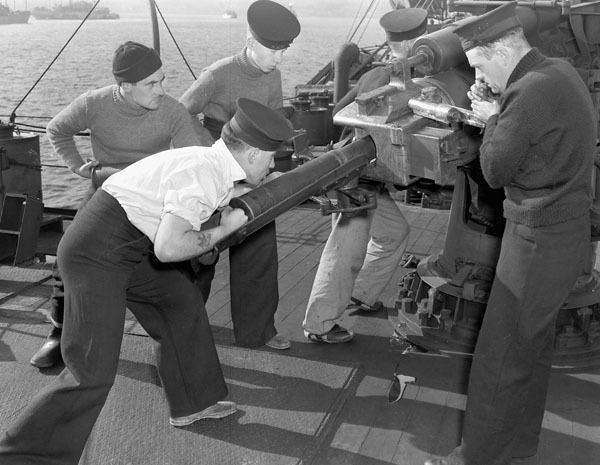 These ships retained their civilian Merchant Navy crew but, often supplemented by senior Royal Navy personnel, medical staff and DEMS (Defensively Equipped Merchant Ship)- Gunners. 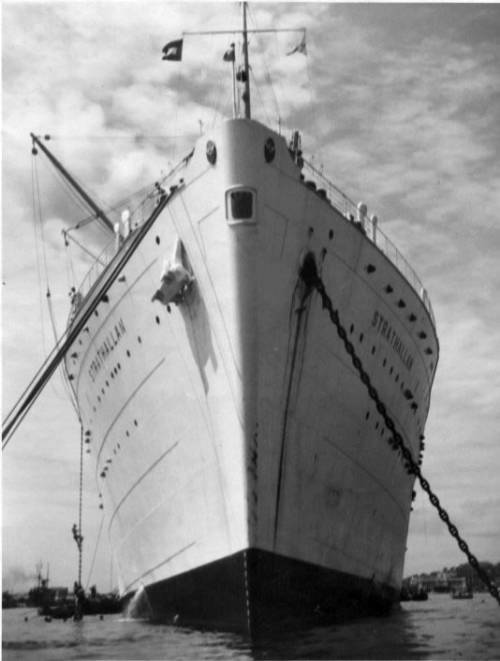 On 4th February 1940, Strathallan's short career as a passenger liner on the Australia run came to an end when she was requisitioned by the Ministry of Shipping - later the Ministry of War Transport - for service as a troop transport. In November 1942, she took part in Operation Torch, the first Allied landings in French North Africa. The landings started before daybreak on November 8th. 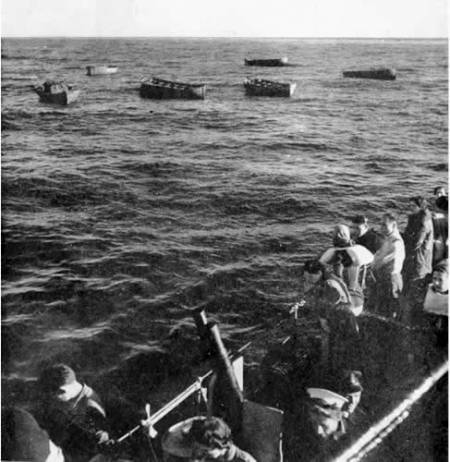 There was no preliminary air or naval bombardment as the Allies hoped that the French based at the three landing zones would not resist the landings. 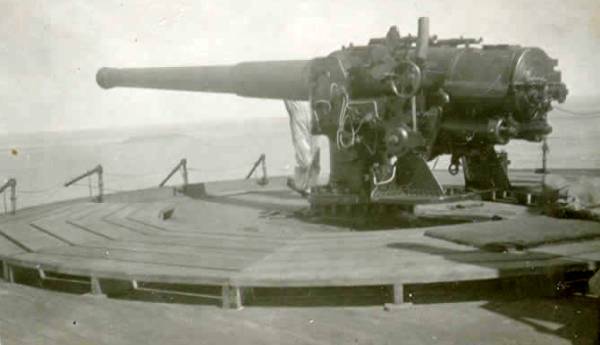 However, French coastal batteries did fire at the transport ships - but Allied naval gunfire retaliated, effectively neutralising the opposition. 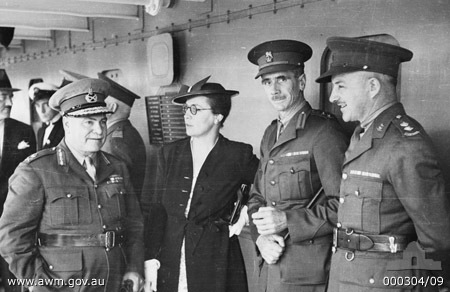 during embarkation of the Advance Party 6th Division AIF for service overseas. Women friends and family waving farewell to Strathallan carrying the Advance Party of the 6th Division AIF to service overseas. 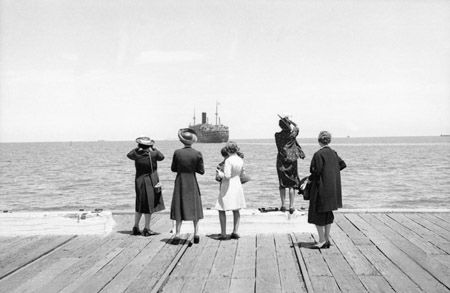 They include: George Vasey's wife Jessie (second from the left), her sisters Thelma Halbert (left) and Doris Sleigh (second from right), and Vasey's sister Marjorie (right). The photograph is especially poignant as Major General George Alan Vasey CB, CBE, DSO and Bar did not return from the war. 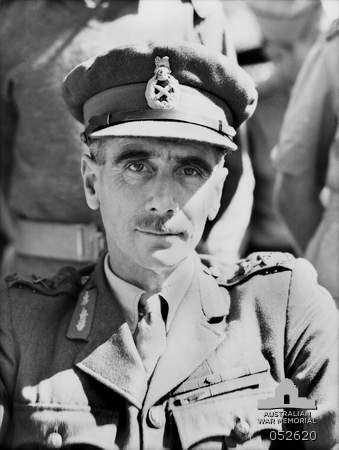 Major General George Alan Vasey CB, CBE, DSO and Bar, killed in a plane crash near Cairns, on 5th March 1945. 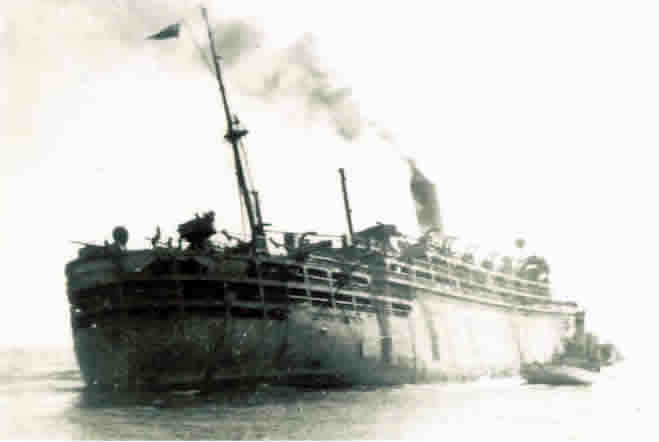 The following month saw Strathallan serving as a troopship, with 4,408 British and American troops and 248 Queen Alexandra’s nurses embarked, together with a crew of 440 and 26 DEMS gunners, when she was lost due to enemy action. At 02:31 hours (Central European Time) on the morning of 21st December 1942, Strathallan was steaming to the North of Oran, off the Algerian Coast of North Africa, when she was attacked by the Type VIIC U-Boat, U-562, under the command of Kapitanleutnant Horst Hamm. 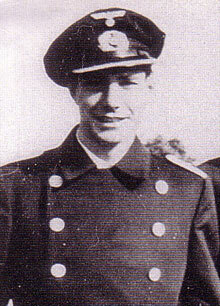 Kapitanleutnant Horst Hamm. Photo: The U-Boat Net. 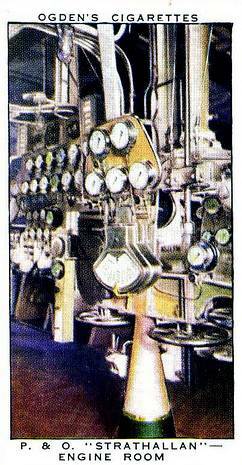 Hamm fired a spread of four torpedoes, of which one hit Strathallan on the port side, in the engine room. 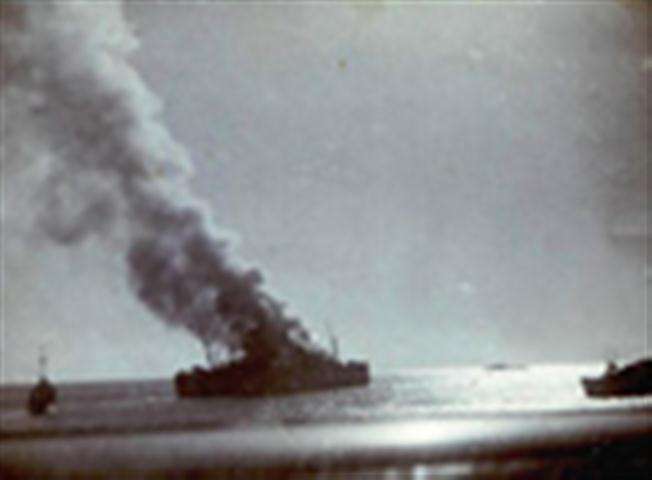 The explosion killed two engineer officers and two Indian crewmen, damaged the bulkhead separating the engine and boiler rooms and fractured a tank causing oil to enter the boiler room. The ship immediately developed a 15° list to port, whereupon Captain John Henry Biggs ordered the nurses and troops to abandon ship, which they did, in calm seas in the four motor boats, 16 lifeboats and rafts. All got away, except one lifeboat that had been damaged by the explosion and another that could not be launched due to the list. The nurses and 1,000 troops were transferred to the destroyer HMS Verity, while another destroyer, HMS Laforey, took Strathallan in tow. With the help of the salvage tug Restive it was hoped that she might reach Oran, but her list increased and the remainder of the troops were taken off by escorting destroyers. At 1.15 pm, fire broke out again, quickly reaching her cargo of rockets and ammunition. The rest of the crew were taken off by Restive. According to the log of the U-Boat Commander, two hits were heard and it was believed that the vessel may also have been under attack from enemy aircraft and suffered a hit from an airborne torpedo. Although badly damaged, the vessel was considered salvageable and taken in tow. However, the following day, 22nd December 1942, a fire broke out and she subsequently capsized and sank in position 36’ 52” North, 00’ 34” West - just 19 kms from Oran. According to the publication Britain’s Sea War - A Diary of Ship Losses 1939-1945 by John M. Young, only four crew members were lost in this incident. However, according to another publication, U-Boat Operations of the Second World War : Volume II by Kenneth Wynn, six crew members, along with two army officers, perished in the incident. Strahallan with the salvage tug Restive alongside. 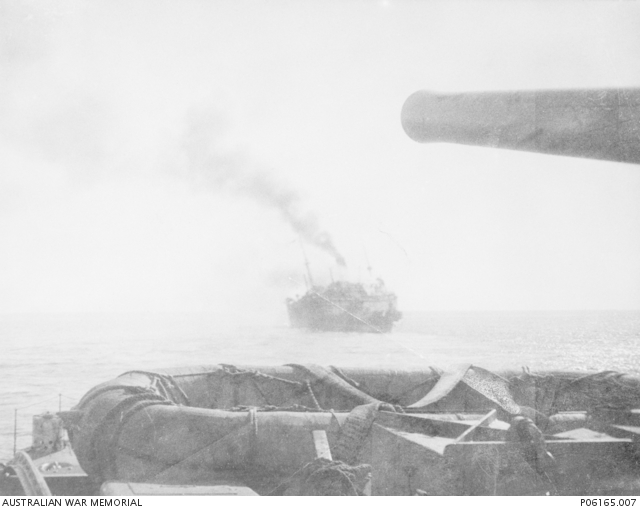 View from HMAS Quiberon, looking towards the heavily damaged SS Strathallan. 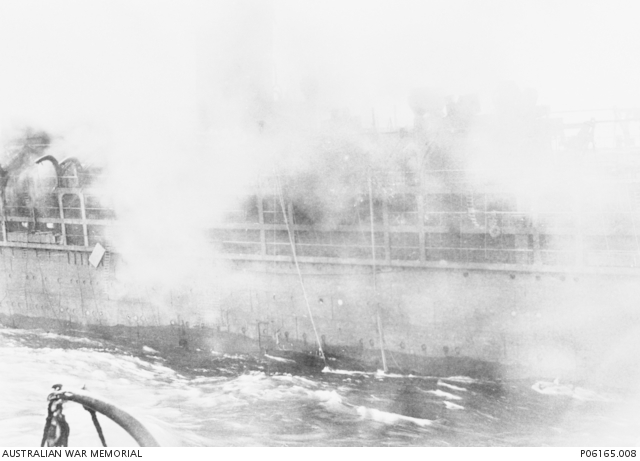 View from HMAS Quiberon as she pulls alongside the heavily damaged SS Strathallan. With the help of the salvage tug Restive it was hoped that she might reach Oran, but her list increased and the remainder of the troops were taken off by escorting destroyers, including HMAS Quiberon. The SS Strathallen sank 19 kilometres off Oran on 22 December 1942. 'NURSES STAY IN SINKING TROOPSHIP - REFUSE TO GO'. From James Wellard - now reporting the Tunisian fighting. On his way out his ship was torpedoed. This dramatic cable describing his experience was filed three weeks ago and received last night. All of us saw sights we shall never forget. There was the moment when lifeboats, with nurses aboard, swung down from the davits and bobbed about in the moonlight water. There was the spectacle of Tommies and Doughboys standing on the listing ship singing; “You are my sunshine” to the accompaniment of a mouth organ. There was that dry sandpaper feeling in the mouth and throat as you stood around for hours, waiting and wondering. There was the relief of sunrise, which had never seemed so beautiful before. 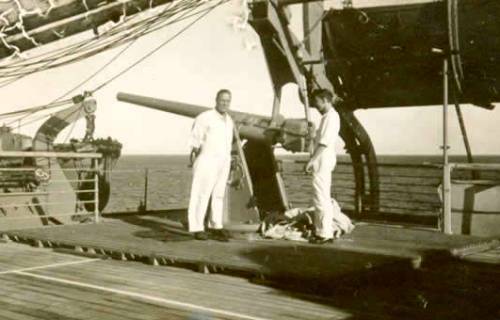 There was the tense moment when you went over the side of the ship, dangling on a rope and praying for strength to hang on until you were dropped on the decks of a destroyer 40 feet below. There was the final tragic spectacle of your good ship, burning like a funeral pyre until she was just a smudge on the horizon. Strathallan's lifeboats viewed from the deck of a destroyer. To the staff at Life magazine, she was known as ‘Maggie the Indestructible’ after her numerous dices with death, including on board the SS Strathallan, torpedoed in the Mediterranean. 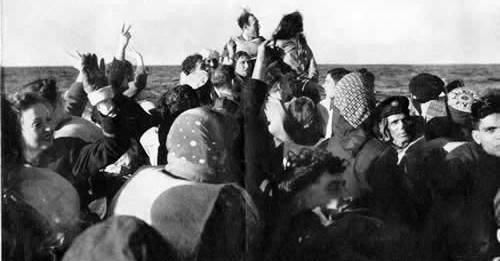 She recorded her experience in an article for Life magazine titled ‘Women in Lifeboats’ on 22 February 1943. 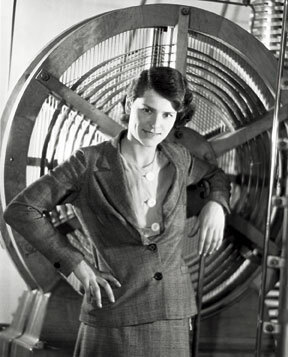 She was the first American female war correspondent and the first woman to work in combat zones during WWII. Strathallan's Captain, John Henry Biggs was awarded the CBE and the Lloyds War Medal for bravery at sea.